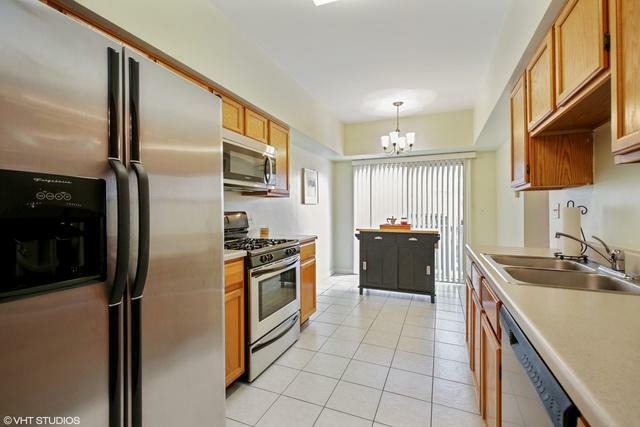 Spacious 3 Bedroom 2.5 bath townhouse with a full finished basement in Parkside on the Green! 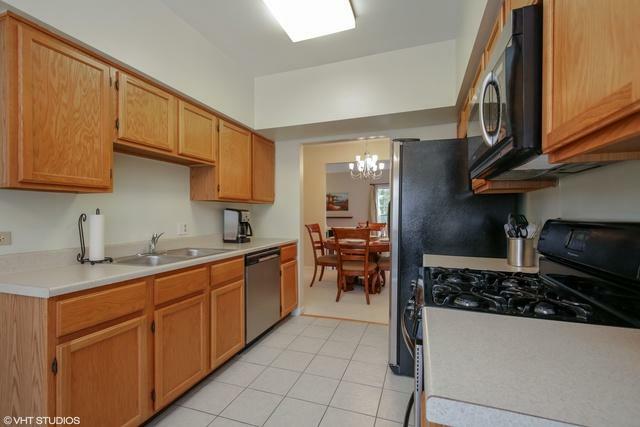 Eat-in kitchen features all stainless steel appliances. Formal dining room over looks the living room which features a wood burning fireplace & sliding glass doors out to the deck. First floor office with french doors. Master bedroom with a balcony, walk-in closet, & it's own private bath featuring a separate shower & tub. All the bedrooms have ceiling fans. Convenient second floor laundry room. 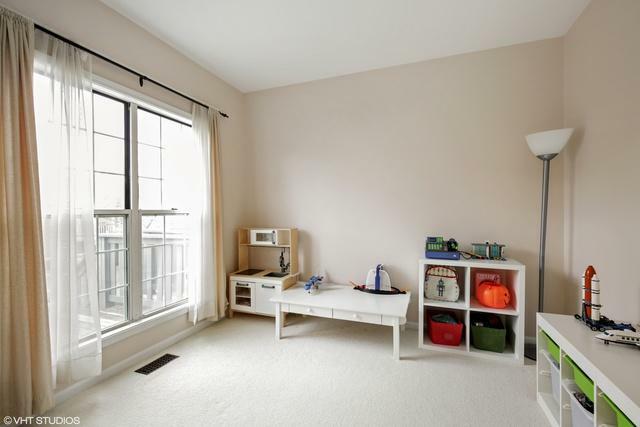 All this space plus a finished English basement with a family room & a walk-in closet for storage. 6 panel white doors through out. There is also a front deck/ balcony for more outdoor enjoyment. 2 car garage. Quiet, beautiful, & spacious backyard. Brand new siding. Walking paths & beautiful Birchwood Park near by with a swimming pool. 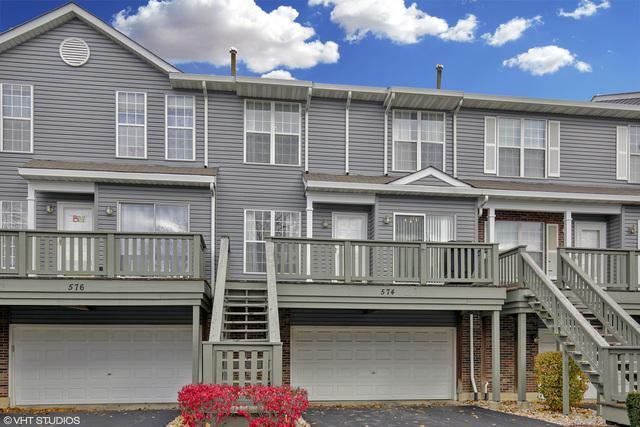 Close to metra, highways, & Woodfield mall. Top rated schools too! Just move right in!